We began offering workshops for people who thought that HomeGrown Surfboard Kits might be a little more than they wanted to take on solo. But it's turned out that lots of our students come for other things besides a new surfboard. And whether they come for the experience of working beside Grain's board builders in our shops in Maine, New York or on the road, for the chance to meet new friends among the other students and our crew, or for the excellent food served family style twice a day, everyone leaves with a board they built themselves. And that's pretty great. Coming back for your second or third board? Check out our 'Build Your Quiver' Plan and save money on each board you build. NEW- JUST FOR KIDS! Who says schools out for the summer? Our Amagansett NY shop is offering limited time, hands-on opportunities just for kids. Check out their 5-day board building workshops, or 5 half-day skateboard and haldplane workshops or paipo workshops, all happening this July and August, just in time for summer vacation. Four days in, beautiful board out! A fully instructed experience. Just have a few hours to spare? This is the perfect one day experience. When the mobile classroom pulls up, it’s time to build your board. One on one workshop with a master. A once-in-a-lifetime opportunity to join us for a very special, all inclusive 5-day workshop at the Cedar Coast Field Station on a remote island in British Columbia Canada. More info HERE. The list at right are the only boards that can be built as Home Grown Surfboard Kits, in Grain Workshops, or with Paper Plans. Our more difficult-to-build shapes are available as Custom Boards or in Fantasy Camp Classes. Four days in, beautiful board out! You’ll get right down to it in this four-day class, beginning on Day 1 with creating the outline by laying down the chine and the first few railstrips. Spend the remaining three days building up the rails, installing blocking for hardware, putting on your top planks, and then shaping and sanding your board. It's fast, but it's fun and in only four days, you've got the board of your choice ready for glass. Can't sneak away for four days? 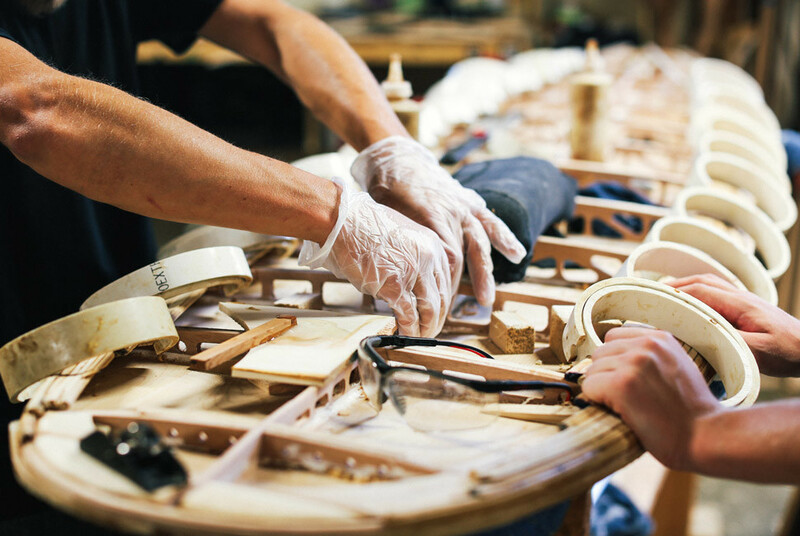 You can still build your own surf-craft in a one-day or two-day paipo class or a half-day hand-plane workshop. These workshops are often offered in the summer and fall months and are a great opportunity to learn basic woodworking, proper use of hand tools and get some hands-on shaping time. Build your own craft, hang with friends, try out our quiver of boards and trade high fives. Lot's of fun with less time away. 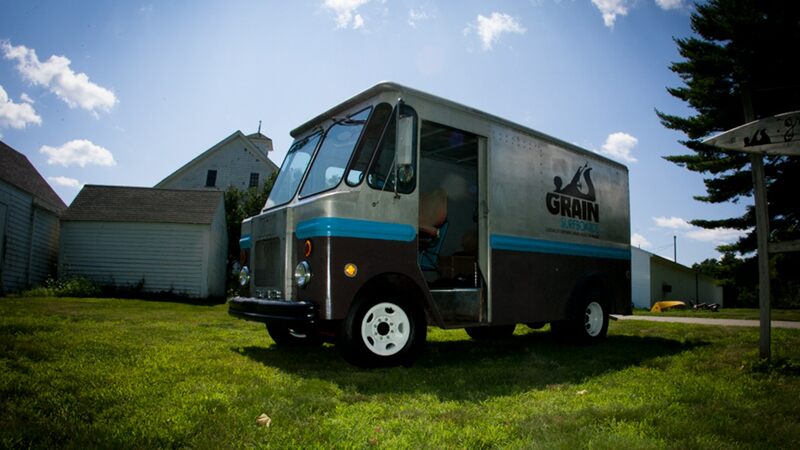 Nothing can replace the complete Grain experience of board-building classes at our workshop on the beautiful Maine coast, but our Mobile Classroom comes pretty close! We recognize that not everyone has the time or resources to travel here, so we give classes all around the country with our full-on mobile classroom. When the mobile classroom pulls up, it’s time to build your board. You'll find the traveling classes listed right here on this page as well as in the calendar. We often throw impromptu hand-plane or paipo workshops into the traveling schedule as well... look for those here. In addition the workshops below, we're beyond thrilled to announce a once-in-a-lifetime opportunity to join us for a very special summer workshop at the Cedar Coast Field Station in Brittish Columbia. More info HERE. Surfers can be loners – their ideal is a deserted break with no one out. That’s why we decided to offer a one-on-one class in board building and/or glassing. For a week or two, it’s just you at your own shaping stand with your own board builder guiding you through the process of building a board you’ll have forever. This is the only class where we will help you build any board in our line of kits and custom boards. Fantasy Camp is also perfect if you can’t make dates in our schedule, can’t get into a full class, or want to share a really unique experience with just one other friend. So if you need some alone time, or dig the idea of being just another builder in our shop for the week, think about the Builder’s Fantasy Camp. 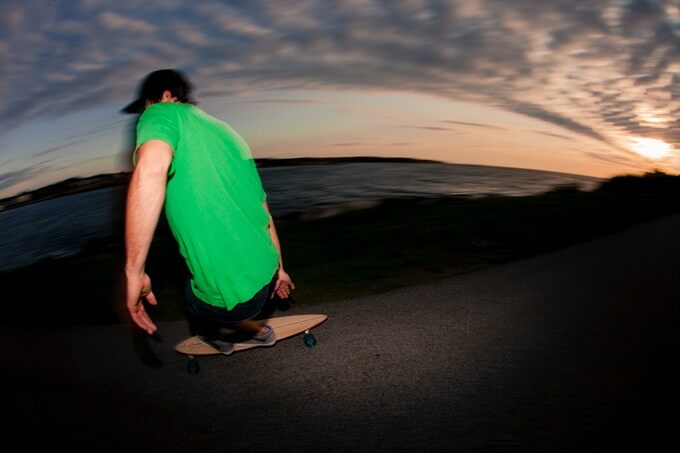 Any board, any time, your own builder. Pretty sweet. Interested in coming out? Give us a ring at 207-457-5313 or email us at info@grainsurfboards.com. 7-Day Fantasy Camps- $3000- Choose from any model we offer. For those living in the New York area looking for things to do which also teach you a little something about what you're really capable of, we've got four-hour classes twice every day all summer, and on weekends the rest of the year. Build your own skateboard and customize it to your liking under the watchful eyes of the crew down at the shop in Amagansett. Super-fun. This page lists our scheduled workshops, but if there isn't one that you can make it to, do not despair... we often set up special workshops to meet your schedule. If you have a group, we'll add a class just for you if the timing works out. Or if it's just you, there's always our Fantasy Camp one-on-one sessions. Even if you're in another city, we occasionally can work in a special class if there's a workable venue. So check out the dates and the class offerings here, but let us know how we can help you. There's more info about all these offerings - just click the session you're interested in and follow the links to get more info or reserve your spot. 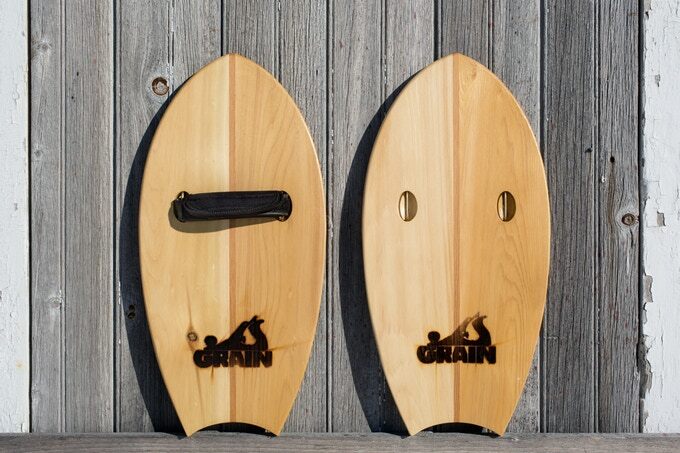 For something really special, check out Grain Surfboards - New York... Our buds Patrick & Brian have set up a permanent Grain workshop on the East End of Long Island and they'll be running workshops there almost every week all summer. Great surf, great guys, same great cedar scented, satisfaction as you build your own under their watchful eye. Check out the Grain--NY schedule here.